Attract the online customers to your store by displaying reassurance information. 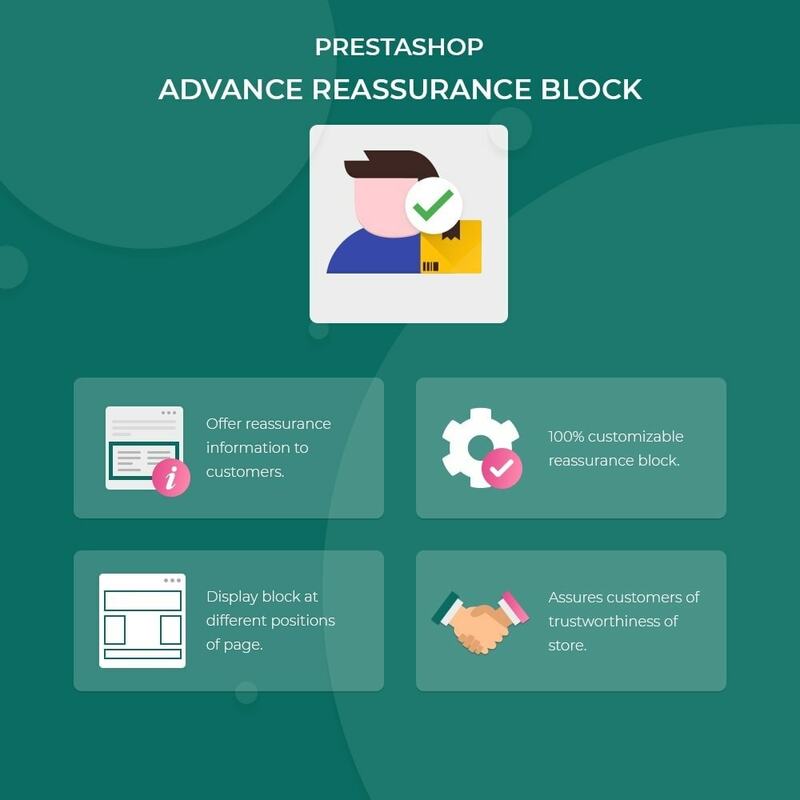 Display advance reassurance block at different pages of the website. Once customers are assured of trustworthiness of the store they will shop with confidence and become your local customers. A highly customizable block to display necessary information to the customers about your store. E.g. shipping, order tracking, online cancellations etc. Reassures your customers of trustworthiness of the store. 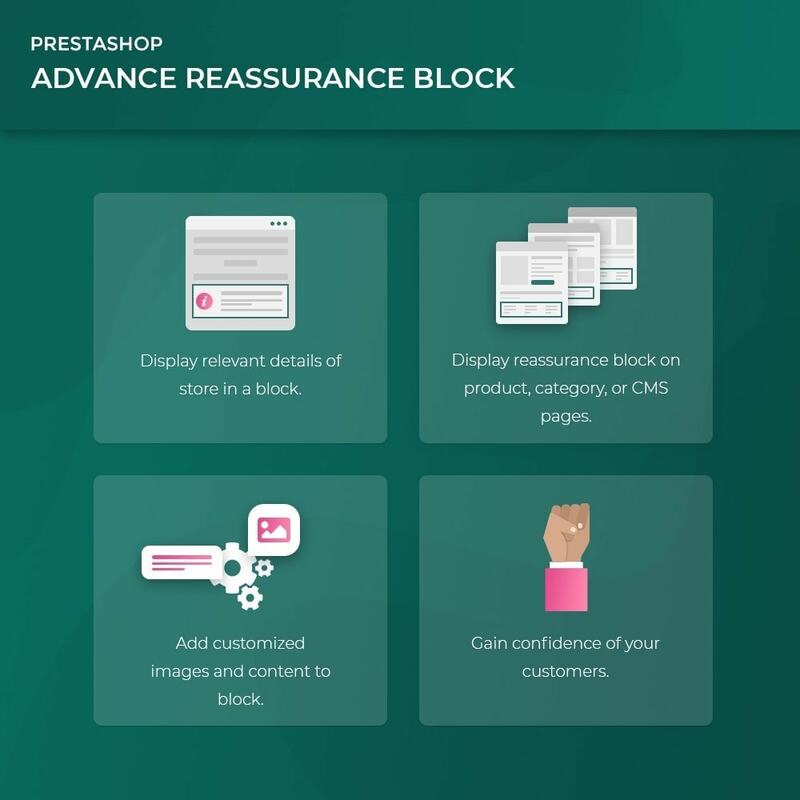 Display reassurance block on the product page, category page, and CMS page. Display reassurance block atdifferent positions of the page. Enable/disable, edit or delete the reassurance block easily. Paypal Instant Checkout permite comprar o produto selecionado apenas com 1 clique.Também oferece a possibilidade de pagamento do carrinho de compras apenas com 1 clique.Rápido.Seguro.Fácil com uma conta Paypal.Faça apenas login e pague. Customers can have access to relevant information of the store mentioned in the reassurance block as soon as they open the website. With reassurance block displaying necessary information gives confidence to the customers regarding the authenticity of a store.